The twentieth century should make sense. It's the period of history that we know the most about, an epic geo-political narrative that runs through World War One, the great depression, World War Two, the American century and the fall of the Berlin Wall. But somehow that story doesn't quite lead into the world we find ourselves in now, this bewildering twenty-first century, adrift in a network of constant surveillance, unsustainable competition, tsunamis of trivia and extraordinary opportunity. Time, then, for a new perspective. With John Higgs as our guide, we step off the main path and wander through some of the more curious backwaters of the twentieth century, exploring familiar and unfamiliar territory alike, finding fresh insight on our journey to the present day. We travel in the company of some of the most radical artists, scientists, geniuses and crazies of their age. They show us that great innovations such as relativity, cubism, quantum mechanics, postmodernism and chaos maths are not the incomprehensible, abstract horrors that we assume them to be, but signposts that bring us to the world we live in now. John Higgs brings us an alternative history of the strangest of centuries. 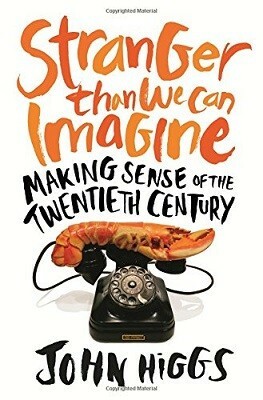 He shows us how the elegant, clockwork universe of the Victorians became increasingly woozy and uncertain; and how we discovered that our world is not just stranger than we imagine but, in the words of Sir Arthur Eddington, 'stranger than we can imagine'.